I had been meaning to for quite a long time, and last week I finally did it. 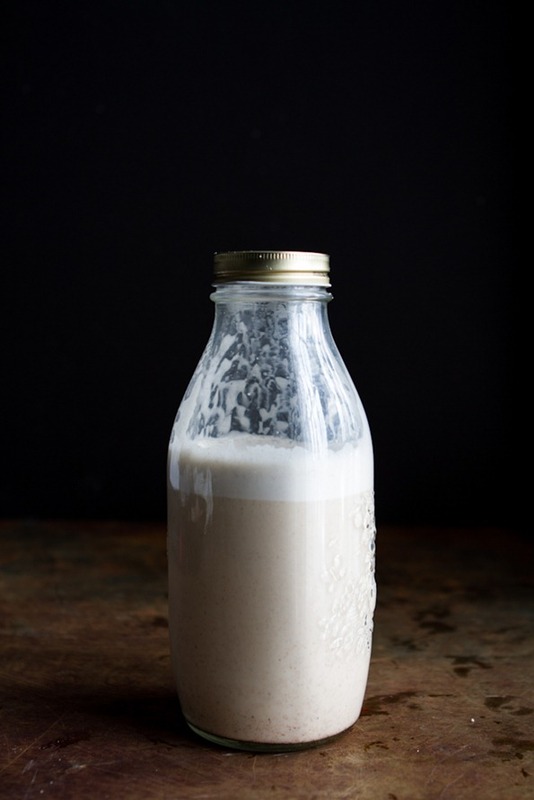 I made my own almond milk. It was easier than I expected; easier in the sense that it really didn't take a lot of time and didn't make a big mess. Once you have the supplies (ingredients + you need a nut milk bag) and you do the tiny bit of prep work (soak almonds overnight in the fridge), the rest is easy. I placed all the ingredients in my Vitamix and blended for about a minute. Then holding the nut milk bag over a large bowl, I poured the mixture in. Because I made a larger batch, I had to half of the mixture first and then the second. I squeezed the milk out of the bag and it ended up in the bowl. I rinsed my Vitamix, poured the milk into the Vitamix and then transferred it to a container (this step just made it easier to pour into my container). Mix all the ingredients in a bowl. Then, spread the "dough" out on to a parchment lined baking sheet - spread it as thin as possible. Score the dough to make a grid of about 1"x1" squares. Bake at 300 degrees for about one hour flipping every 15 to 20 minutes. My crackers didn't dehydrate fully, so not all of them are crunchy. They are delicious nonetheless with some homemade almond milk and sliced banana. YUM!